The deepest, most complex, and most astounding aspect of biblical theology. 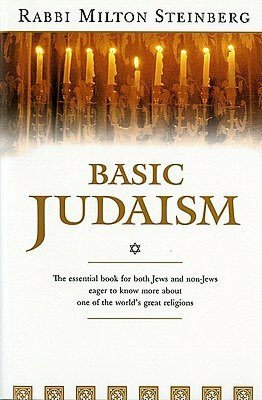 Reading Rabbi Milton Steinberg’s Basic Judaism has given me in the past two posts some examples of how Christians can take a cue from Judaism on topics like action/belief and what it means to serve God within the larger society. I think there is much that Christians can learn from Jews, which is one reason why I wish there was more interaction between us. A clarification I would like to make before the next point is that we have become used to thinking of “perfect” as description of something that is completely flawless, something that is completely above and beyond the idea of ever being improved upon. In this view, God is the only thing that can truly be called perfect. But “perfect” has historically referred to that which is complete, and the word translated “perfect” here in Matthew is a word which can definitely be translated “complete.” It is related to the word for “end,” or “goal.” Jesus taught that we would be perfected and whole, just as our Father has always been perfect and whole. The reason why Jesus can tell his fellow Jews that they must be perfect, and the reason why Christians, as part of that same story, must be perfect is that when all is said and done this perfection is not grounded in the determination or accomplishment of man but rather in the gracious and saving action of God. Otherwise, I would agree with Steinberg. It in fact would not be “realistic” and it would be “insensible” for God to expect frail humanity to be perfect on its own. What changes everything is that God himself becomes the perfect humanity that he requires. It is in Jesus that humans become everything that they were meant to be, and, it is in Jesus that God becomes everything he needs to be to fulfill his promises to humanity. In Jesus God himself is faithful to humanity, who at the same time and in the same way becomes the faithful humanity that God requires. To me, this is the most beautiful and awesome truth about the story of this God and this world. This is why Christology is the deepest, most complex, and most astounding aspect of biblical theology.